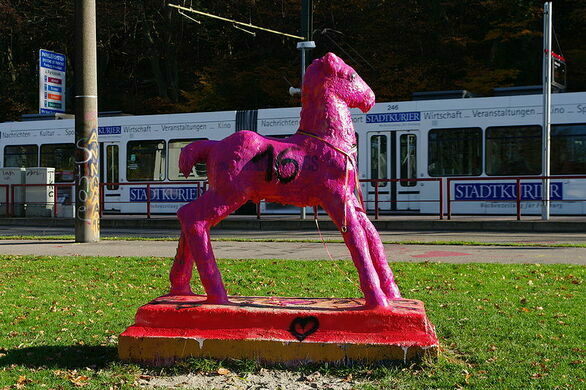 A horse statue that receives constant makeovers from graffiti artists and locals. 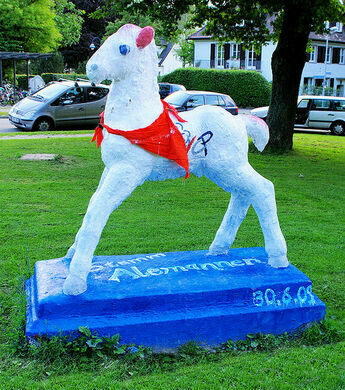 The Holbein Horse is a foal statue created by Werner Gürtner in 1936. 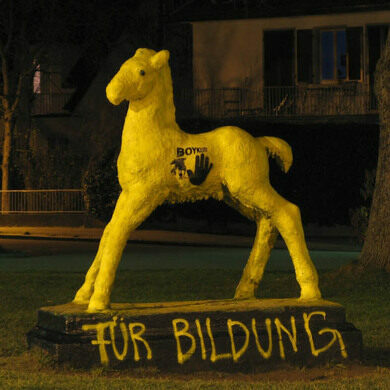 Made of concrete and approximately as large as a normal horse, Holbeinpferd is famous for the fact that it is often redecorated by graffiti artists. 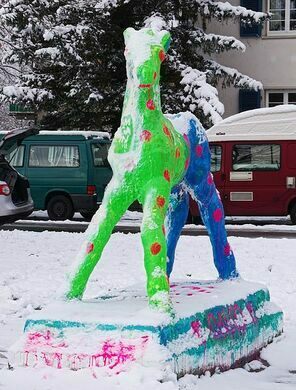 Starting out as being defaced to resemble a zebra, its other incarnations include unofficial advertisement carrier for Uhu cement and Milka chocolade, visual declarations of love, support for political candidates, and colors representing sports teams. 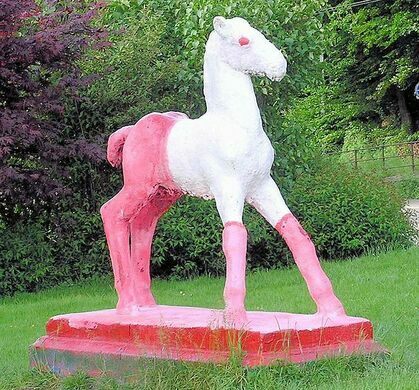 The repainting of the horse has become a welcome and encouraged activity - done in the dead of night in the past, the statue is often given its new look in broad daylight, and is featured in its many different looks in TV ads and on postcards. 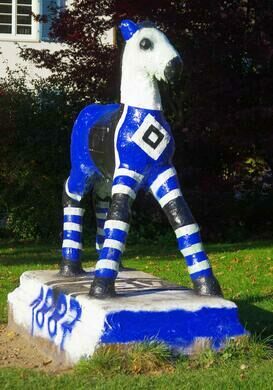 The Holbein Horse is located on a small patch of grass on Holbein Street, near Hans-Thoma-Strasse and the Günterstalstraße (Günterstal tram to stop “Holbeinstraße”). Holbein Street, near Hans-Thoma-Strasse and the Günterstalstraße (Günterstal tram to stop "Holbeinstraße"). This medieval cathedral houses stained-glass windows featuring saints and pretzels. A geothermal energy project gone wrong is fracturing the city's picturesque architecture. The birthplace of the builder of the Statue of Liberty is now a museum dedicated to his work.